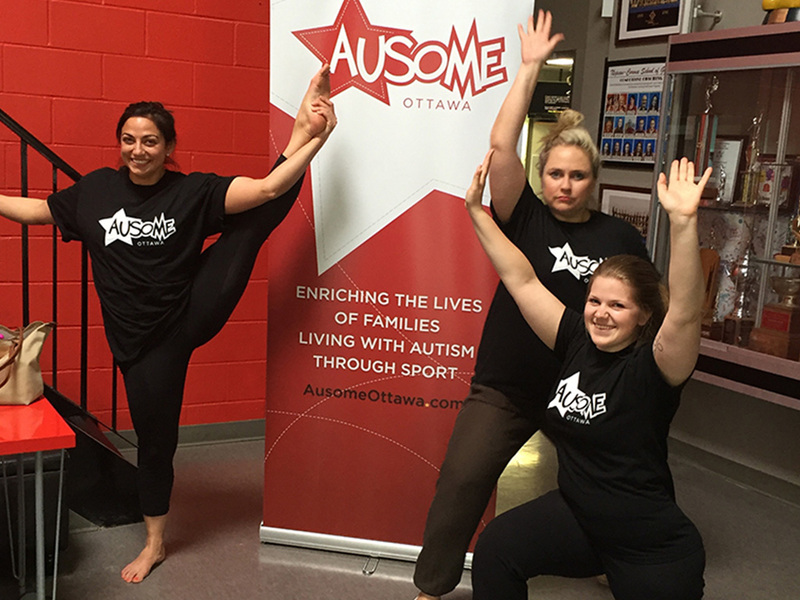 Program Description: The Gymnastics program has always been an exciting event for both our Ausome Kids and our Ausome Volunteers. 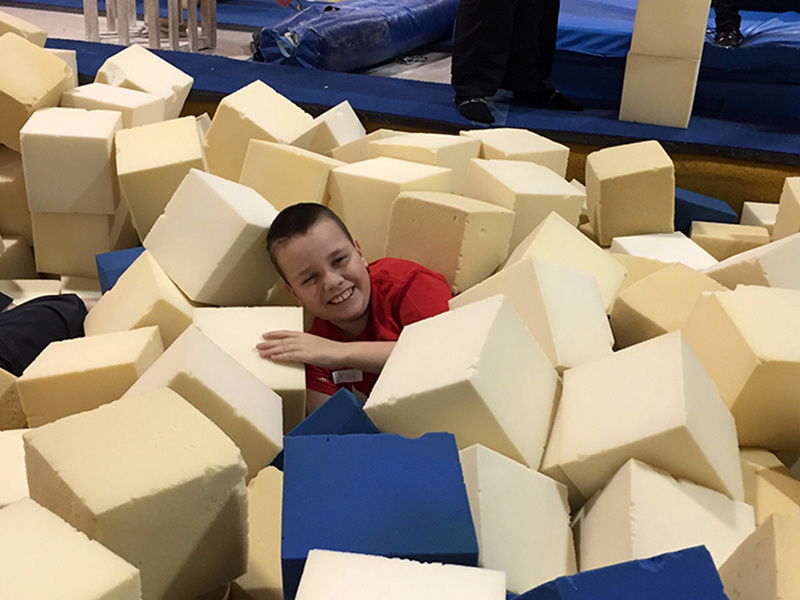 Who doesn’t love jumping on trampolines and flipping into foam pits?? This program is great for beginners and advanced participants. The Ausome Coach meticulously plans each week making sure to include modifications for each skill being taught. The children should expect to come into the gym and participate in a group warmup and stretch. Once everyone is warmed up, the groups will split into two and make their way through each circuit. 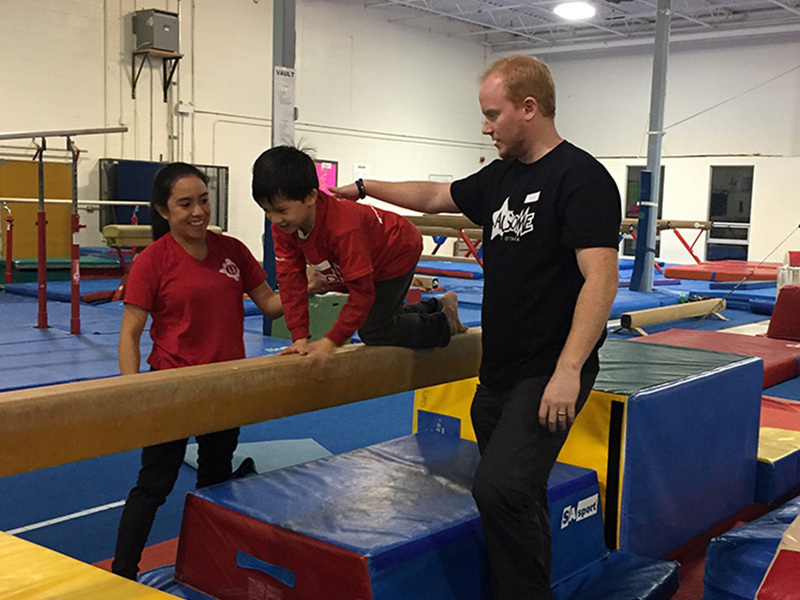 The kids will have the chance to practice skills on the balance beams, floor, vault and bars. As the children rotate around the gym, depending on their skill level, we will modify each activity to suit their needs. 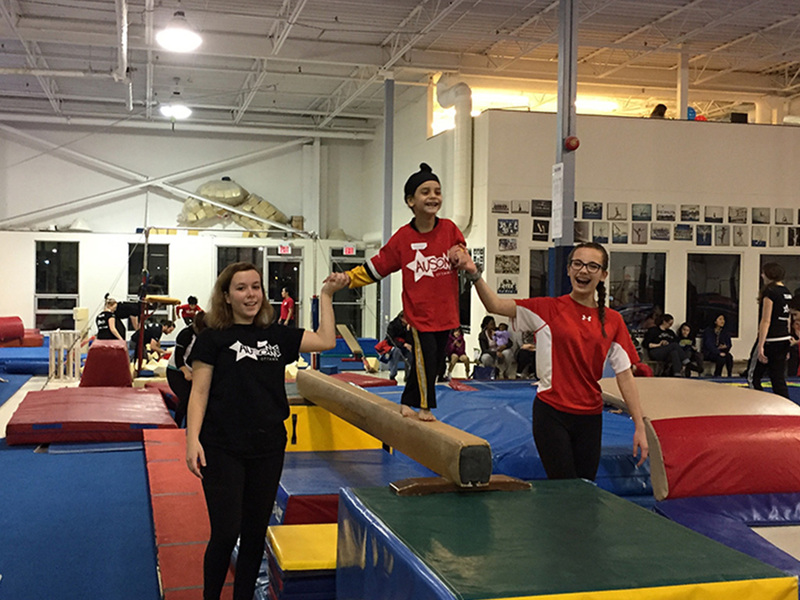 It’s amazing to watch the kids gain more and more confidence on each apparatus!